Welcome to our news blog area of Bikesbuiltbetter.com. 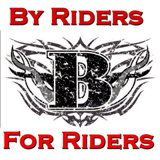 This is where we have the opportunity to share motorcycle related news articles, motorcycle product reviews and information as well as motorcycle event information. We plan to continue adding features to this section of our website and break them down into easy to find categories. Select any category to the left for more motorcycle related news, events, products and other information.